When you construct a new driveway or sidewalk, you expect it to last. 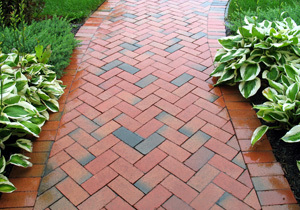 Without proper waterproofing, even the most carefully constructed hardscapes and wood construction can be damaged by exposure to the elements. With the correct waterproofing treatment, concrete, wood and masonry installations can last a lifetime. This fluid, polyurethane membrane can be applied over concrete or wood. Waterproof deck coatings work best when movement of the underlying materials is expected, such as a deck, patio or sidewalk. These coatings are generally applied in multiple coats. This type of waterproofing bonds to concrete or wood surfaces. Once cured, a texture coat can be applied for a decorative finish. The most common style of sheet membrane waterproofing is a self-adhering rubberized asphalt membrane that can be applied to a variety of applications. At Domenico Parravano and Sons, “Roman Style Concrete” is about more than just concrete. It’s about the craftsmanship we put into every job, right down to the waterproofing. We’ve been helping homeowners in Baltimore City, Towson and Baltimore County since 1977.